Some days I crave buffalo chicken dip. The cheesy, melt-y, spicy, buffalo-y, amazing dip; I miss it. I want every awesome taste that buffalo chicken dip offers, but without the chicken. Chickpeas are a great food to eat. Here are some quick reasons why (in case you need convincing) you should add them to your diet! Amazing source of protein: As a vegetarian there is this common misconception that I don’t get enough protein. This myth couldn’t be further from the truth! I get plenty of protein and am more creative with my food in order to get it. Chickpeas are an amazing source of protein and when combined with a grain, they can provide a comparable amount of protein to that of meat with less calories and saturated fats than meat. Great source of fiber: Chickpeas are rich in both soluble and insoluble dietary fiber. Soluble fiber forms a gel-like substance in the digestive tract that snares bile (which contains cholesterol) and ferries it out of the body. Studies have shown that insoluble fiber not only helps to increase stool bulk and prevent constipation, but also helps prevent digestive disorders. Iron and energy boost: Having enough iron is something I struggle with because of my anemia but chickpeas come to the rescue again! Garbanzos can give you high levels of energy because of their iron content. This is particularly important for menstruating women, pregnant or lactating women and growing children. Iron is an integral component of hemoglobin, which transports oxygen from the lungs to all body cells, and is part of key enzyme systems for energy production and metabolism. Keeping the heart healthy: Regular intake of Chickpeas can lower LDL (bad) and total cholesterol. Garbanzos lower the risk of heart attack. So as you can see, chickpeas are a great food to add to your diet. TODAY. Unfortunately this cheesy creamy dip may counteract some of the healing benefits of chickpeas but it is so good you won’t even notice. 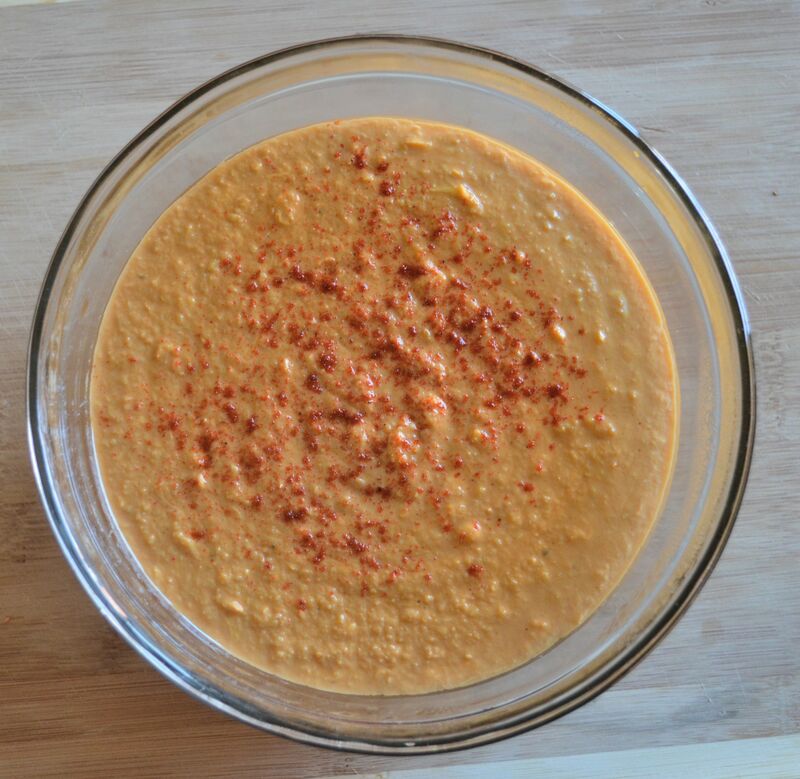 In a food processor or blender, pulse the chickpeas, olive oil, buffalo sauce, and vegetable stock until creamy, add more buffalo or vegetable stock if needed. In a sauce pan melt the butter and add the chickpea mixture to the pan. Add paprika and ground garlic and stir. Add the cheese and mix until well combined. Remove from heat. 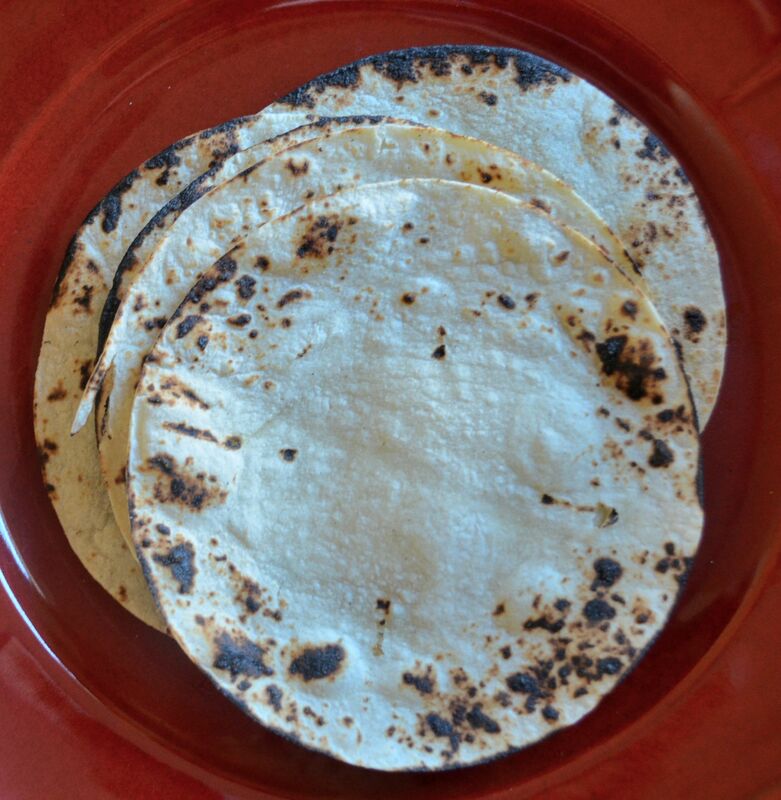 Warm some corn tortillas. 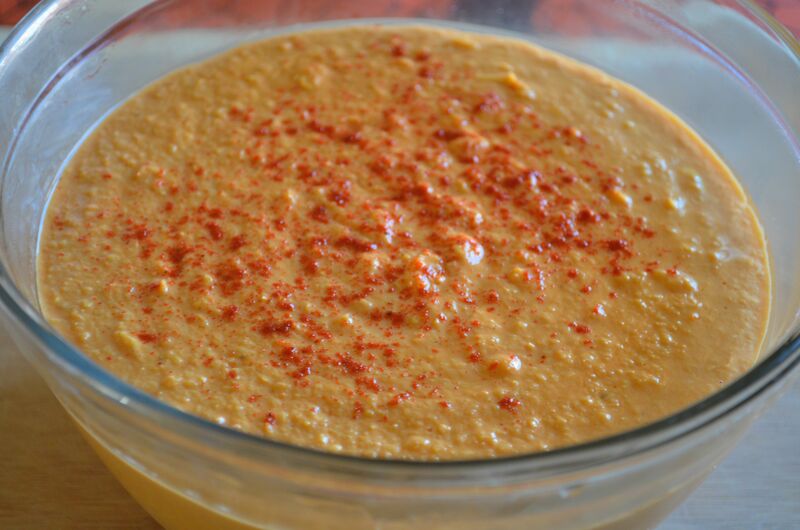 I like to sprinkle some cayenne on top of the dip because I like it spicy! 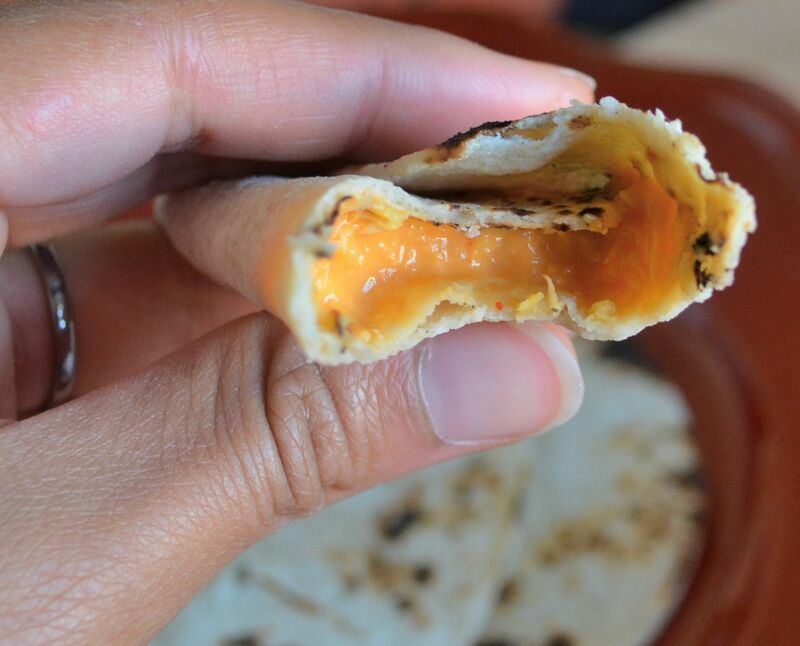 I spooned some warm dip in a warm corn tortilla and had a quick, delicious, and satisfying lunch. 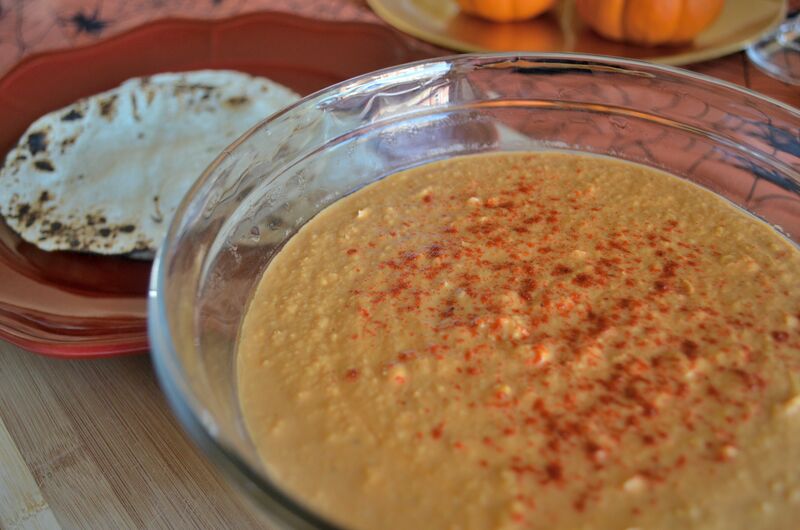 This dip is great for tailgates, parties, and makes the perfect chips and dip refreshment.